The President of the Asian Hockey Federation HRH Abdullah Ahmad Shah was recently ascended to be the sixth Sultan of Pahang Darul Makmur. 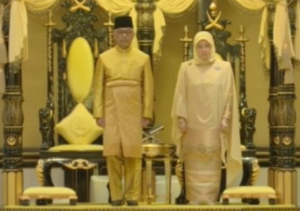 Pahang, Malaysia: The President of the Asian Hockey Federation HRH Abdullah Ahmad Shah was recently ascended to be the sixth Sultan of Pahang Darul Makmur. HRH Abdullah served the Asian Hockey Federation in his capacity as President, and under his leadership, oversaw significant inroads that were made under his tenure and puts the AHF in a take-off position for the year 2019. HRH, who has played a crucial role in the development of hockey within Malaysia and the rest of Asia is well-known for his tenacity, leadership skills, empathy and his forever passion for hockey through which the hockey family today flourishes. It is also fair to speculate that the people of Pahang are likely to benefit greatly from HRH Abdullah’s ascending to be Sultan of Pahang. The Asian Hockey Federation would like to congratulate HRH on this significant milestone, which is likely to see a new chapter that is turned for the state of Pahang. 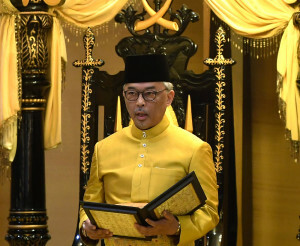 His efforts, commitment and leadership skills displayed as President of the AHF are likely to be replicated in his capacity as Sultan of Pahang.